Indian cinema, or more specifically, Tamil cinema, has a unique relationship with ‘superhero films’… in that, it barely has any. As Vijay Sethupathi recently observed at an interaction, all our heroes are superheroes. We don’t look for logic when our heroes hit and the villains fly; we simply cheer. This is why cop roles have, for long, been used to legitimise the commercial value of a star, while also giving our heroes additional qualification to smash dozens at once. Many a hero has become a star, after doing cop films. Fascinatingly enough though, Rajinikanth, arguably our biggest star, has not quite taken to this route. In his 160+ filmography, he has done only a handful of films in which he plays a cop. Few of these films caught the imagination of the audience, the most memorable being among his earliest, the 1982 hit Moondru Mugam. While a film like Anbukku Naan Adimai was fairly successful, his later ventures like Kodi Parakkudhu and Pandiyan failed. And on the back of AR Murugadoss letting out with his poster that Rajinikanth will once again play a cop, we take a look at the handful of notable films in which he already did that. 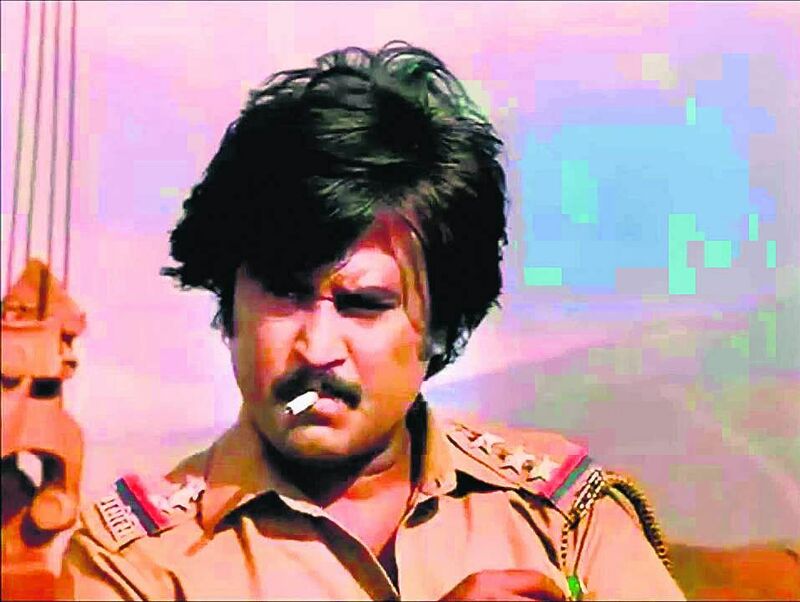 It is quite interesting that the first ever Tamil film in which Rajini donned the khaki uniform had quite the red herring. Rajini is a thief who turns a cop, owing to mistaken identity (a conceit that would be used in Tamil industry for years with director Siva's Siruthai another famous example). While it does take nearly one-third of the film's runtime for this conceit to be established, what follows is how Rajini respects the uniform as he takes on the film's villain, Karate Mani. Released six months after Rajini's blockbuster, Billa, this continued his experiment with role reversals of a thief/smuggler. This would also be one of two films that Rathi would act with Rajini (the other being the year's second blockbuster for the superstar, Murattu Kalai) and featured the lovely Aathoda Poovurasa melody by Ilaiyaraaja. Rajinikanth's second collaboration with Bharathiraja, after a decade, came amid sky-high expectations. The legendary director was coming off of Kadalora Kavithagal and Vedam Puthithu, and Rajinikanth's star persona was nearing its peak. But this project was a damp squib. 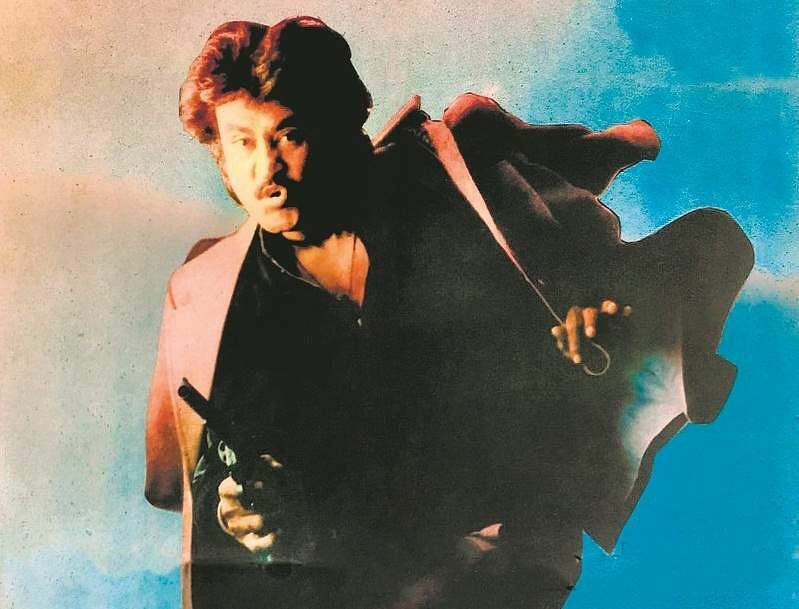 While the quintessential Rajini style — be it him setting the smuggled goods on fire with his cigarette, or his swishing a glass before making his point — was there, there was little to note of Bharathiraja’s own trademark flourishes, except in some exchanges between Rajini and Manivannan, the film's villain. Amala's fawning character getting her place shown by Rajini, Bharathiraja dubbing for Manivannan, and Rajini's role of a dada all contributed to making this film an underwhelming collaboration. While Rajinikanth's Southern sojourns with the khaki might have met with mixed results, his experiments in Bollywood fared way better. From when he donned the khaki in John Jaani Janardhan, a remake of his very own Moondru Mugam, Rajini instantly struck gold. While his John A Mendes might not be in the same league as Alex Pandian, it marked the start of a success story, which, quite intriguingly, he couldn't replicate in the Tamil film industry with cop roles. Geraftaar followed soon after, with a major casting coup working out, as Rajini, Kamal Haasan, and Amitabh Bachchan were all roped in for the film. While Amitabh and Kamal played siblings, the film features Rajini in an extended cameo as Inspector Hussein. One of the most memorable roles of the Superstar in Hindi, it was also referenced in Rajinikanth’s 1990 Tamil film, Athisaya Piravi. He played a cop once again in the 1986 film, Dosti Dushmani, which saw him share screen space with Jeetendra and Rishi Kapoor. His name in the film, Ranjit, was used once again in the 1991 film, Phool Bane Angaray. For an actor whose death on screen in Tamil cinema usually sparks riots, his roles in Hindi often have him dying. With the exception of Dosti Dushmani and Hum (1991), Rajini's characters — Inspector Ranjit in Phool Bane Angaray (1991) and Arjun Thangey in Farishtay (1991) — all lose their life in the process of enforcing justice. More than being an iconic role, his role as police officer Kumar Malhotra in the 1991 multi-starrer Hum, will be known for sowing the seeds for one of his all-time blockbusters, the 1995-film Baasha. Undoubtedly, the most popular cop film of Rajinikanth, and the one to happen at an early stage of his career, Moondru Mugam has him in his first triple role in a Tamil film, something he would emulate 32 years later in Kochadaiiyaan. Moondru Mugam has his best performance as a cop till date. Despite limited run time for the character of Alex Pandian, his performance and its reception have caused the character’s name to become synonymous with your quintessential Tamil cinema cop. An exercise in dichotomy, this character is at once a caring husband and a devilishly ruthless cop. Alex Pandian is one of Rajini's best characters, policeman or otherwise, and little wonder that he did the same film in Hindi as John Jani Janardhan. We step into a Rajini film screening knowing that the villains getting thrashed comes as easily to his character as running his fingers through his hair in that trademark stylish move he has made his own. But curiously enough, in Naatuku Oru Nallavan, which was simultaneously made in Hindi as Shanti Kranti, the superstar often loses to his nemesis, which caused much disappointment among his fans, who relished seeing him win his onscreen battles. A diehard fan of the star, director Karthik Subbaraj himself had mentioned in an interview that he believes that Rajini's image is larger than life and that he was let down to see Rajini’s character suffer great losses in that film. 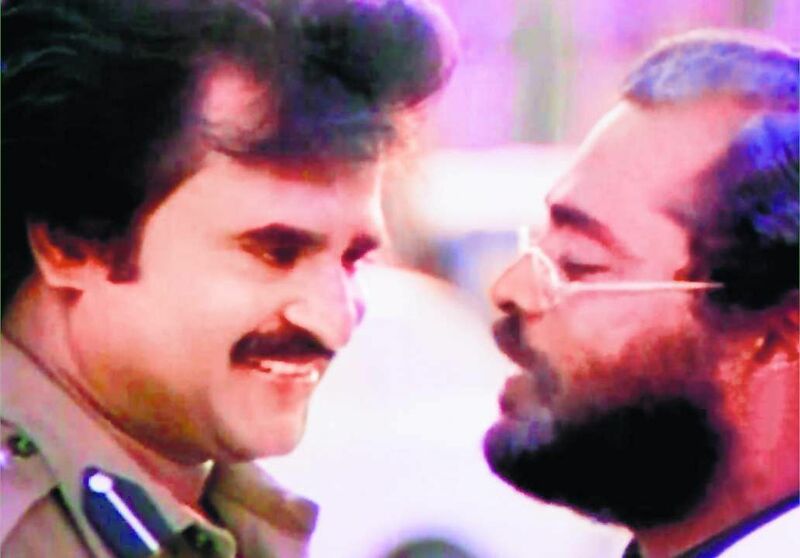 Despite having elements like the Hello Rajinimama song that makes direct references to his off-screen persona, Rajini playing a cop-turned-rebel leader, and the star power of co-stars like Juhi Chawla, Anant Nag and Kushboo, the film failed to work magic at the box office. His last role as a cop came in the 1992 Diwali release, Pandiyan, four years after he did Bharathiraja's Kodi Parakkuthu. Playing an IPS officer who goes undercover to solve the case of his missing brother-in-law, the Superstar was mostly in his element in the film as the mysterious ruffian in the first half, and a stylish police officer in the second. 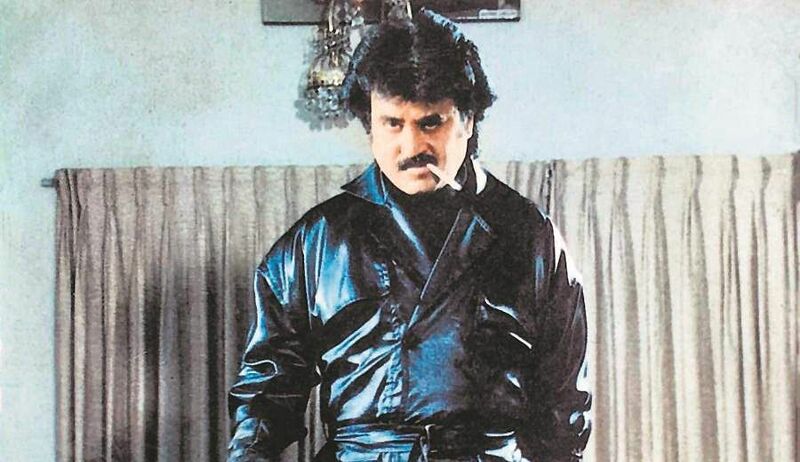 This remake of the Kannada film, Bombay Dada, was directed and produced by SP Muthuraman, the man credited for moulding Rajini's career and turning him into a commercial star. It has since been suggested that Rajini acted in the film without taking remuneration. Despite being a mishmash of all the ingredients that please Rajini's fans, Pandiyan was a disaster at the box office, a response attributed to the poor reviews and the clash with Kamal Haasan's all-time classic, Devar Magan. The film's subpar performance caused quite some ripples, including SP Muthuraman going on to direct only one other film. 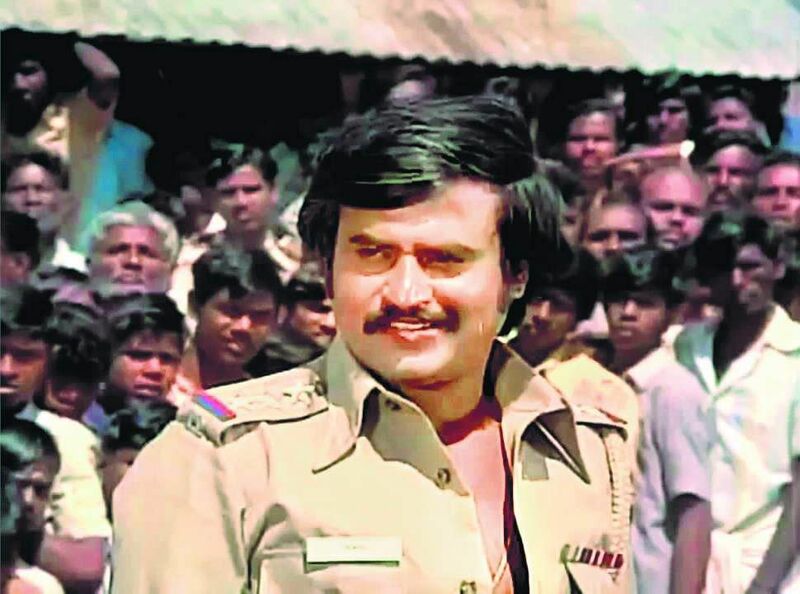 The other effect, of course, was Rajinikanth staying away from taking up cop roles again, until Monday’s announcement that he would be playing a cop in Darbar for the first time after 27 years.